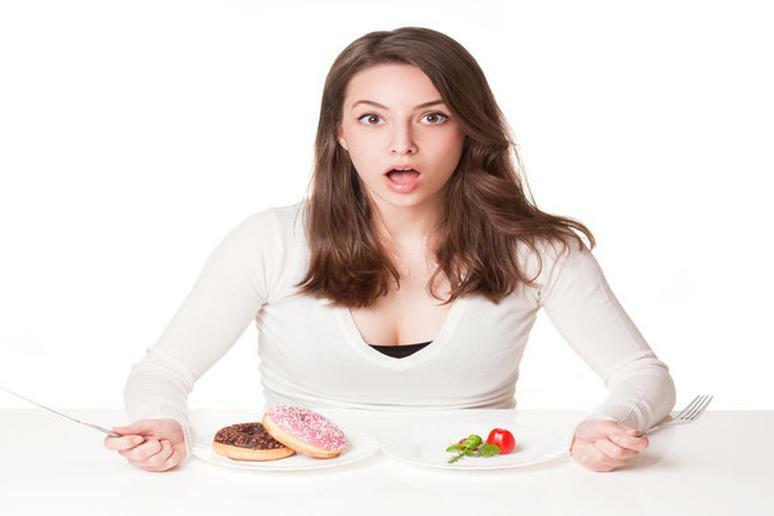 Self-control is essential when you are trying to watch your diet and cut down on your food intake. It may sound challenging, but eating less is actually easier than it seems. One of the first steps to take when you are beginning a new diet program is portion control. I know it sounds crazy, but preparing your meals and learning your correct food portions are extremely important. Restaurants will serve you enormous sizes, and as difficult as it may seem to stop eating their delicious foods, it’s important to know when to put your fork down. For some of us, we know what we need to do but we just don’t follow through. Our mind tell us one thing but we do another. So, if you really want to learn how to eat less, just trick yourself. For instance, upgrade your dishware and purchase all white plates. Why? Healthy foods look more appetizing on white. Change up your glassware and purchase tall glasses. It’s actually proven you consume less of your beverage when drinking out of a tall skinny glass compared to a short wide glass. That being said, for the most part, eating less is all in your mind. Get ready to curb your appetite for good, and trick your mind using these 5 Ways to Trick Yourself into Eating Less. When we see our food on bigger plates our mind is telling us that we are eating a smaller portion. We finish our meal thinking we have not eaten enough, so we get up and make another plate. This often leads to overeating. Eat on small plates and bowls to trick your mind into thinking you ate more food. Instead of indulging in that big bag of chips, eat 100-calorie snack packs. When snacks are served in a bigger bowl or right out of the bag we tend to eat more. 100-calorie snack packs help control your food portion and satisfy your hunger. Eating in front of the TV is detrimental to your fitness goals. We start with one chip, then another and all of a sudden the bag is empty. It has been proven that while watching TV you are blocking the feeling of fulfillment because your brain is focused on something else. This being said, avoid overeating and refrain from having snacks in front of your TV. Yes, cutting your food into smaller pieces can actually help you eat less. It creates the illusion that you are consuming more food which in turn causes a greater feeling of fullness. Cutting your food into pieces also tricks you into eating slower which allows you time to actually feel when you are full. We have all heard it before… breakfast is the most important meal of the day. But, it really is. Skipping breakfast causes your blood sugar drop, making you even hungrier for your next meal. By the time lunch comes around, you end up eating way more than you normally would. So, trick your mind into eating less all day by just having breakfast in the morning.